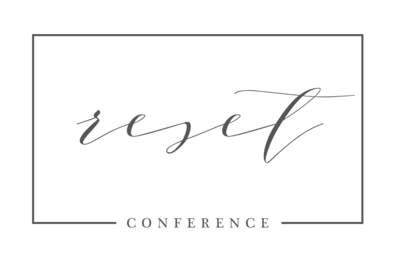 Kara Evans wrote a fantastic, well-organized recap of her time at the 2017 Reset Conference, and today we wanted to share her thoughts and impressions with you all. You may recognize her and her adorable husband Kyle as one of the few husband-wife teams that attended Reset together! Kara is a wedding photographer based out of Bourbonnais, Illinois. Read on! 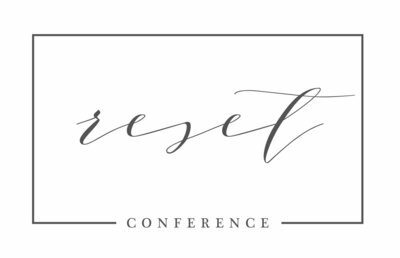 My fourth year at The Reset Conference is in the books! On the first weekend in March, I attended the conference in Indianapolis. This year was different for me, though, because my husband attended alongside me. Last year when I was registering for the conference, he told me that he wanted to attend + learn with me… So that’s exactly what we did! Attending the conference with my husband this year had me reflecting SO much! The weekend was an incredible experience of growth and understanding for my husband and I… You see, my husband has been my encourager from day one and gave me the courage to start my business. Throughout the years, he has become my listener, foundation, and go-to person for advice. Everything behind the scenes – especially my husband’s never-ending support and encouragement and trust and prayer – is a huge part of why this business is growing. He knows the ins and outs of the business, second shoots alongside me, challenges my technical knowledge, bounces ideas with me, fixes my camera strap when I’m too in the zone to realize it’s a disaster, and at the end of the day, he is proud of me and what is being built. He believes in what I’m doing and how I’m serving. I always hope I never forget to tell him how much he means to me, especially in these ways. Experiencing the conference with him allowed me to better reflect on this honest, true support from my hubby. Davey & Krista Jones – This husband and wife team was so sweet! I loved learning how a story can transform your perspective from these two. Sarah Hill – Gosh, I love Sarah! She spoke at Reset previously, so I was incredibly excited to hear from her again. This boss babe is a crazy talented + laid back family photographer. She is honest and gave me the epiphany that I should always be a good boss to myself! Ashley Herrinton – Last year, I enjoyed one of Ashley’s sessions, so I signed up for another this year. She encouraged me to take the enneagram test… Mind blown! Bre Thurston – WOW… This strong woman shared her heart with everyone in her session! I loved learning from her about how to shoot “through” the moment + how to apply what I fear losing to my business. Megan Kuethen – The session I attended great! Megan taught me the 4 C’s of Instagram, and I’m already applying new knowledge to this social media platform. LOVED this practical, tangible action item session! Elle Danielle – Hello! This session about law in your business was fabulous! The clarity + knowledge Elle brought to the subject of law in small business was exactly what I needed. Bobbi Photo – Goodness, gracious! I LOVE Bobbi! Again, she spoke at Reset the first year, and she is wonderful! Her session had me laughing, crying, and feeling ALL the feels as I learned tangible ways to rock shooting a wedding. Natalie Franke – This session was the final session I attended at Reset… It was the perfect end to the inspiration + practical knowledge I was exposed to over the weekend. Natalie made me realize that courage takes heart and so does my business + life! Beyond the vast variety of classes, loving on new friends + community, and gaining a wealth of knowledge, we had so much fun exploring a little bit of Indy, trying different restaurants, and spending time with our people that “get” us (shout out to Kate, Sarah, and Lauren – LOVE these ladies). I cannot adequately explain how refreshing + fueling it feels to be surrounded by your people. Can’t wait to see what’s in store for Reset 2018! Thanks, Kara! You can find Kara’s work on Instagram, Facebook, Pinterest.